Sheffield Flute Choir is a friendly group of flute players, playing a mixture of classical, jazz and modern repertoire on flutes, piccolos, alto and bass flutes. We rehearse once a month on a Saturday morning at Sharrow Performing Arts Space. 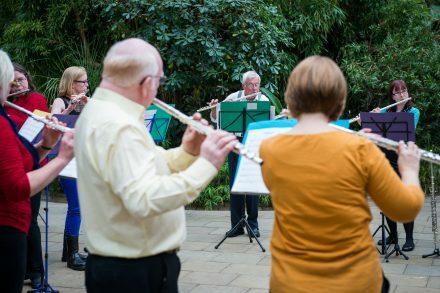 We perform at local events such as the Classical Sheffield Festival, art exhibitions, farmers markets and craft fairs, and we're always happy to hear from anyone who'd like to add some flute music to their venue or event. New members are always very welcome. If you're over 18 and around Grade 5 standard upwards, we'd love you to join us. There's no obligation to come to every rehearsal, just come and join in when you can. It doesn't matter if you're a bit 'rusty' and haven't played for a while! If you've never played piccolo, alto or bass flute before, other members are happy to let you try out their instruments. We rehearse from 10am-1pm with a lengthy tea (and cake) break. 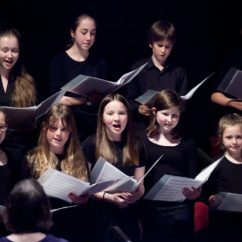 We're always keen to collaborate with other groups and composers too - we've recently worked with Platform 4's Jenny Jackson and Leeds-based composer Tim Knight to develop brand new pieces for flute choir. 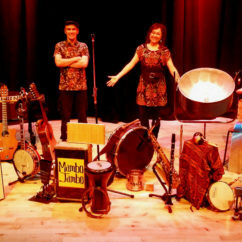 For more information about our performances, joining us or working with us, please get in touch!